There is a “genealogy” of anger. It begins with a person or situation that you blame for upsetting you. You then go into a victim role and become upset. “Upset” can range from being irritated to flying into a rage. The circumstance may be real or perceived. Either way the end result is becoming angry. Being trapped by chronic pain is real and that doesn’t include all of the additional injustices that keep piling up. One paper surveyed a group of people suffering from chronic pain and over 80% had not forgiven the person or situation that caused his or her suffering. (1) Although you are justified in having these emotions, you’ll continue be somewhat or very miserable indefinitely. Why would you want to do that? It’s because every human being is attached to being a victim since it feels so powerful. It also masks feelings of anxiety and vulnerability, which we hate. Even after many years of being out of pain and practicing the DOC concepts, I frequently still dive into being a victim. It is a core pattern for me, and I finally realized that it isn’t going to ever disappear. 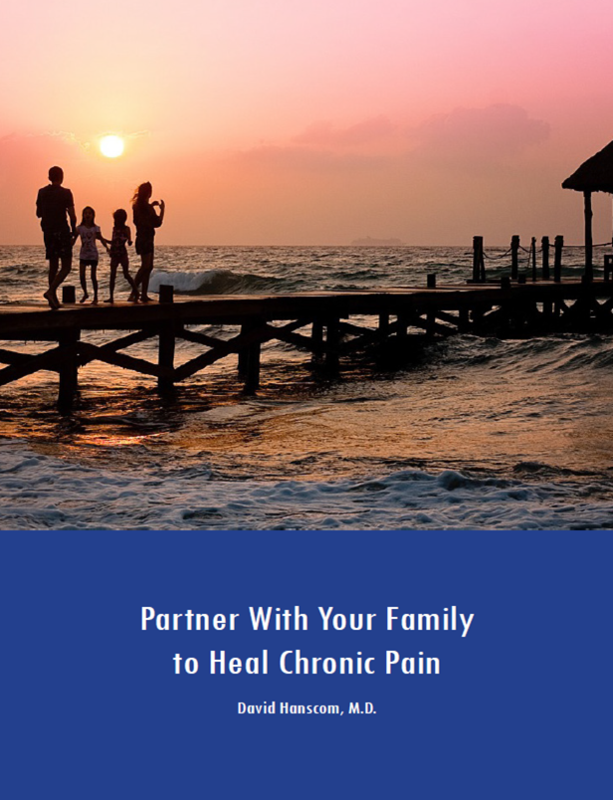 The greatest obstacle to solving chronic pain is the willingness to learn about the nature of it and use the strategies to solve it. We become addicted to the power of pain. But here’s the problem. A few years ago I labeled myself as “enlightened”, which meant in my mind that I was above going into the victim mode and could maintain a sense of tranquility regardless of the circumstances. It was a bad idea and it turned out that my “enlightenment” was just another form of suppressing negative thinking. Suppressed anger and labeling both block awareness and my relationships suffered. The problem is that when you’re in the victim mode, it is a complete package of behaviors and the behavioral patterns are much stronger than your conscious brain. Every time you’re upset you are now a real or perceived victim. By definition you’ll engage in destructive behaviors, including self-destructive ones. Even though you “know better”, it won’t stop you. The conscious brain is no match this energy. I have a list of various behaviors I do when I am upset. 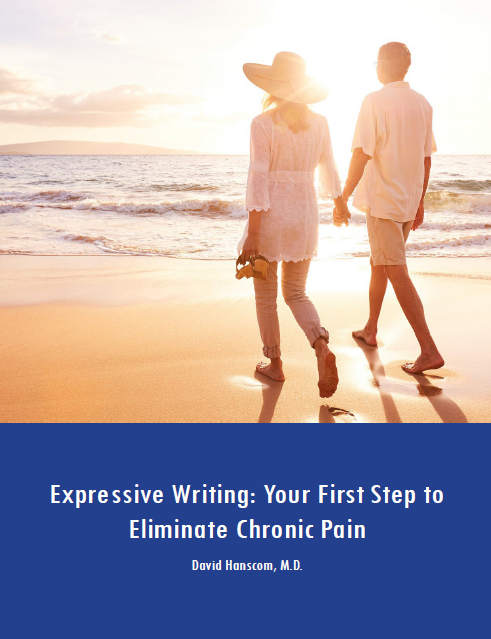 They include: a) stopping my own practice of expressive writing b) quit exercising c) eating poorly and at irregular hours d) feeling in a bad mood and making sure those around me are fully experiencing it with me, e) making excuses for not getting things done f) blaming others. There are many others that are subtler and some that are quite destructive. These actions are just a small aspect of my anger response. I was truly a victim of a chaotic family and unfortunately this pattern is a significant part of my core behavioral patterns. If you feel that you aren’t angry or don’t exhibit this kind of behavior think again – or seriously ask those close to you what their observations are? Every human has this problem whether he or she recognizes it or not. I’ve finally given up trying to not be angry. It takes too much energy and it is an inherent part of life. I am continually working on approaches to deal with it. It works both ways. I may not feel angry or frustrated, but I am engaged in self-destructive behaviors. As I mentally work backwards, I can usually see that I’m upset and what the trigger was that set me off. Second, I’ve accepted that I like the power of being a victim and after over 20 years of recognizing and watching it, that the role isn’t ever going to disappear. I will never wake up one morning and ever want to give it up. I focus on becoming more aware when I have gone into that mode and more importantly, observing people’s reactions to my words and actions. Third, since I teach about the consequences of anger and benefits of forgiveness, I become upset with myself for being angry. It’s a double-hit. I work on “failing well,” since it’s inevitable that I’m going to behave badly. Being a self-critical perfectionist magnifies the problem. Finally, a strategy I’ve adopted with some success is minimizing destructive behaviors while I’m upset. Eating a lesser amount of junk food. Exercising even for five or ten minutes, regardless of how I feel. Re-engaging with the expressive writing exercise– even if it’s only a couple of sentences. Not making anyone the target of my frustrations, especially my family. Looking at what set me off and how the situation might look from his or her viewpoint. What may I have said or done to start the reaction? 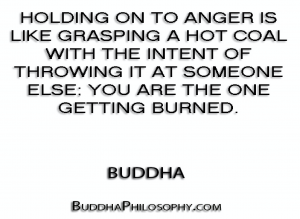 Recognizing that my anger response is often out of proportion to situation. Just being aware of it has helped me step back and not take action while I am in this fired up state of mind. I’m making progress in cutting my losses. Some weeks are better than others. I have an extensive experience in weaning patients off of high doses of opioids and other addicting drugs. My view is that an addiction is an addiction regardless of the form it takes. They all inflict varying forms of damage to your body and life. The problem with drugs is that the toll is so high. The general approach to rehabilitation is structure and control, which is effective for many people but often isn’t sustainable. The key is to understand that the driving force behind addiction is anxiety. No one wants to be an addict, but unrelenting anxiety is intolerable. Anxiety is an unconscious neurochemical survival response and necessary for survival. When you can’t escape it, you’ll produce more stress hormones and become angry. Since it isn’t primarily psychological, it’s not subject to isolated rational interventions. What is your “anger package?” What self-destructive and other destructive behaviors do you engage in when you are feeling sorry for yourself? Is being angry and acting badly so much a part of your life that you don’t even feel anger is a problem? I frequently see patients who tell me they are not angry but it is clear that he or she has not taken one step to care for his or her health. Self-neglect is one of the ultimate self-destructive anger-based behaviors that is akin to a slow suicide. There is no other explanation for it. You have to be aware you are in this mode before you can address it. What can you do to minimize the damage when you are in your victim mode? Can you contain yourself when you feel like yelling? Are you able to simply eat less when you feel like binging? What about having just a few cigarettes instead of smoking for a week? Are you able to allow yourself to fail and get back on track quickly? Is there something you can do besides jumping back into your full drug habit? Even if you completely fail, how quickly can you let yourself off of the hook? Anxiety and anger will always be a part of your life? What can you do to limit the damage?